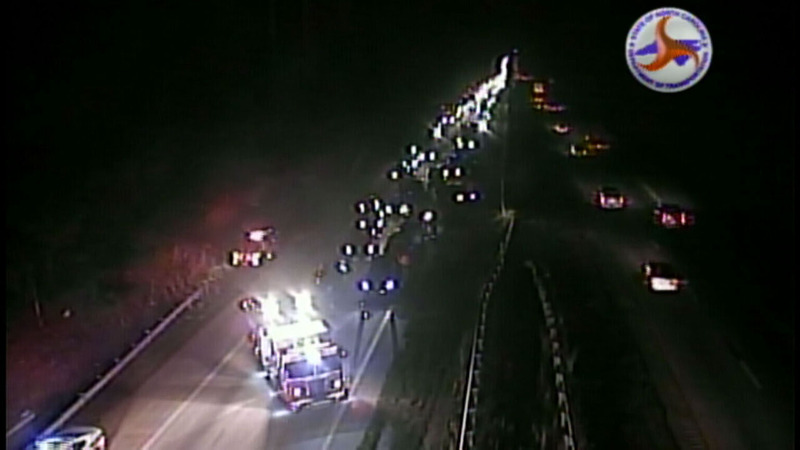 GARNER, North Carolina (WTVD) -- I-40 westbound near White Oak Road was closed for nearly two hours after a crash Friday night. It wasn't immediately clear how many vehicles were involved in the wreck. The crash happened shortly after 9 p.m. The lanes reopened about 10:45 p.m. Traffic was moving slowly and congestion remains. Police and fire crews remain at the scene.